Do the downspouts on your property bore you? Want to make them stand out? Add a bit of oomph to your property’s décor by installing rain chains from San Antonio Rain Gutter Pros. 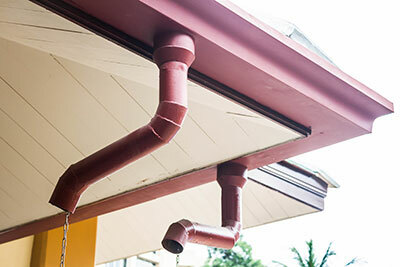 As the name implies, these are a series of links or cups that are designed to drain rain water from rain gutters into wherever you want it to go. The water can be drained into a basin, rain barrel and even a rock garden. They look pretty and emit a beautiful sound when water flows through them. Most rain chains come with attachments which can be used to hang them from under the eaves of a house or building. You might think that these are easy to install but they aren’t. It takes more than a drill and nail to install one. They are heavy. Imagine yourself climbing that ladder with a long rain chain in your hand. Keeping your balance will be challenging enough. You will also have a heavy drill in your hand. Improper installation is another problem. If these aren’t attached properly, they can cause a range of problems. For example, they won’t drain water as efficiently. Once water starts overflowing from the sides it can ruin your home’s foundation and cause puddles. Standing water can also prove to be a breeding ground for insects. Don’t want to tear off your existing downspout? You don’t have to. The experts at San Antonio Rain Gutter Pros will install your chosen rain chain for you. Why should you climb a rickety ladder? Our professionals have years of experience behind them. We use sturdy ladders and require our staff to wear proper safety gear to prevent accidents. Choosing a design is the challenging part. Most rain chains are made from brass and copper. However, not every design will suit a property. You might need to install multiple gutters around your property especially if you do not want to rely on a traditional downspout. Call us and we will provide you with the best solution. It’s best that you use a rain chain as part of your existing drainage system instead of relying on it wholly. Don’t know where your rain chains will have the best effect? We offer free consultations for this purpose. Our experts will inspect your drainage system and recommend a spot that is suitable. Rain chains can become one of the most functional additions for your property. And the systems we provide are considered to be some of the very best. All of our services are also insured. We take the satisfaction of our customers very seriously. This is also why all of our products come with warranties. These systems add an aesthetic appeal to a home’s exterior. They might be a huge thing in Japan but that doesn’t mean that you can’t enjoy them. We can make it happen. Call us at San Antonio Rain Gutter Pros for rain chains.